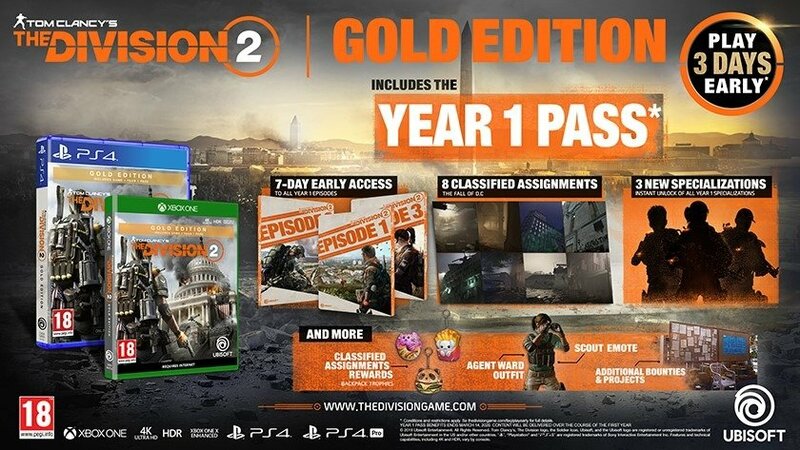 Play three days early: Pre-order the DARK ZONE COLLECTOR’S EDITION of Tom Clancy’s The Division® 2 and get your copy as soon as March 12th, 2019. 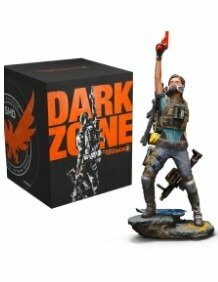 The “Dark Zone Collector’s Edition” has been created for the bravest agents! It is a must-have for our boldest fans. Don’t let the city fall into the chaos, stand against the criminals, fight the injustice and bring back the light on Washington, D.C.! o The Tom Clancy’s The Division® 2 Game. o An Ubicollectibles© 30cm-high figurine of Heather Ward the Tom Clancy’s The Division® 2 Specialised Agent. o A Washington, D.C. map with a ton of information and secret locations left behind by another Division agent. o A Book of Lithographs: A selection of detachable lithographs, including twenty of the greatest pieces of art from the game. o The Selected Game Soundtrack: a selection of the best songs from the game put together on a disc. o The Battleworn Secret Service Pack: don’t get caught, be sneaky and collect information to defeat DC’s enemies with your secret service outfit, an exotic M4A1 weapon skin and a rare emote.